I enjoy the challenges of tournament fishing but also love chasing other estuary species like EP’s throughout East Gippsland. When I’m not tournament fishing I get the most enjoyment from targetting Bream & EP’s in heavy gnarly structure and also on the surface. These are the 2 most exciting ways to target these species and the rewards can be spectacular. Hard to choose a particular location given what is on offer here in East Gippsland and further afield, but if I had to choose one venue it would be Mallacoota. I first fished Mallacoota when I was an 8yo and I have been going back ever since! An awesome year round Bream fishery for both Blacks and Yellows that offers everything from red hot edges, fantastic flats fishing, deep water options, structure and the ever present chance of a new PB! Honourable mentions to Bemm River & the Derwent River. Hard to single out one experience because there have been a few for different reasons. Putting my Dad onto his first Bream on a Hardbody at Mallacoota was pretty special, watching my daughter Asha (4) catching her first Bream on a Bent Minnow was awesome and winning the 2013 ABT Mallacoota Bream Qualifier (Non-Boater) was incredible. But for sheer fishing excitement some of the surface action here during late summer / early autumn this year was mind blowing. Huge numbers of big Bream gang tackling topwaters was some the most insane action I have ever encountered. My personal PB Bream is 48.5cm (tip), 45cm (fork), 1.9kg fish taken from the Mitchell River in February of 2012. 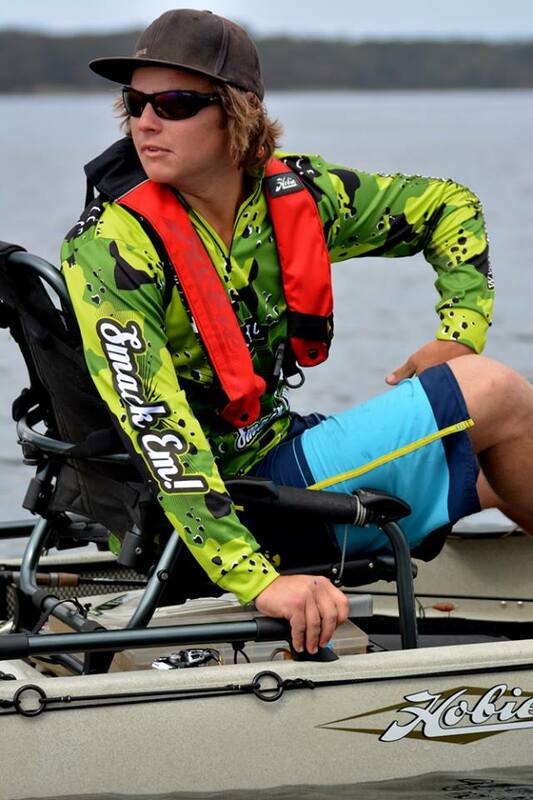 Millerods Control Freak Custom Rods by Ian Miller – none better. A mix of Daiwa Exist & Steez reels & Shimano Vanquish & Twinpower reels. I have two water ways that I enjoy fishing,both close to were I live,the Port Hacking in Sydney’s south and the Shoalhaven River at Nowra. 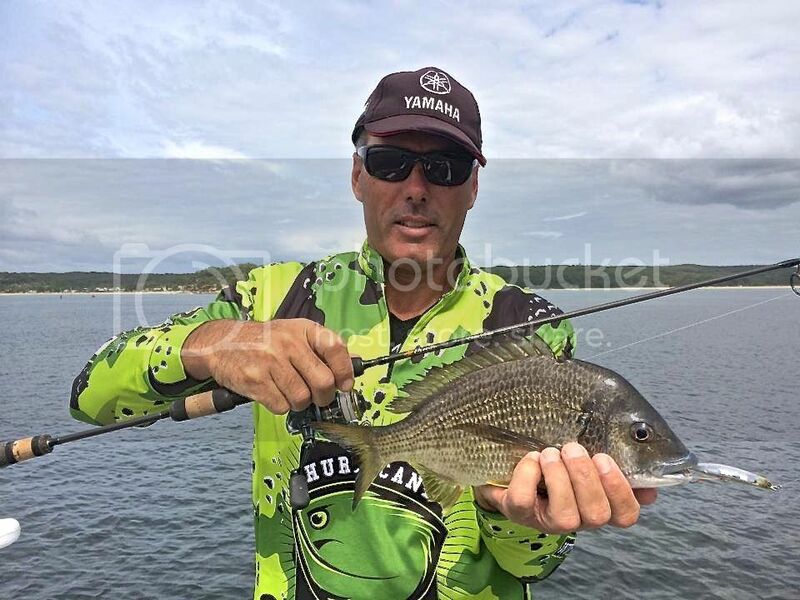 Port Hacking offers great Boat Hull and pontoon fishing as well as shallow weed flats,some Big Bream live in this water way. The Shoalhaven River has it all,oyster racks, reefs,man made rock walls,weed flats,snags and deep natural sandstone cliffs,the EP and Bass fishing in the mid to upper reaches of the river are fantastic. That’s a tough one,I have been fortunate enough to have quite a few memorable fishing Experiences both off Shore and Estuary.I would have to say the time I caught and released a 95cm Flathead while competing in the St Georges Basin Flathead classic,I was only using 4lb leader, there was a few nervous moments before it made the net,it was the Biggest Flathead I had caught and I ended up winning the Tournament . Bass, Bream and Barra are my favourite styles of fishing. I was born in Central Qld and regularly lure fished for barra on Lake Awoonga. 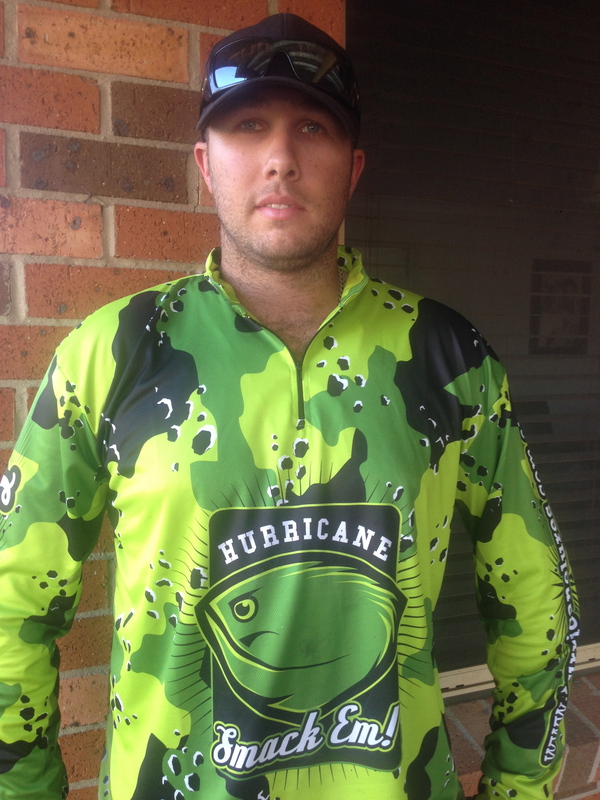 I moved to Brisbane and targeted bass and bream and started fishing tournaments. 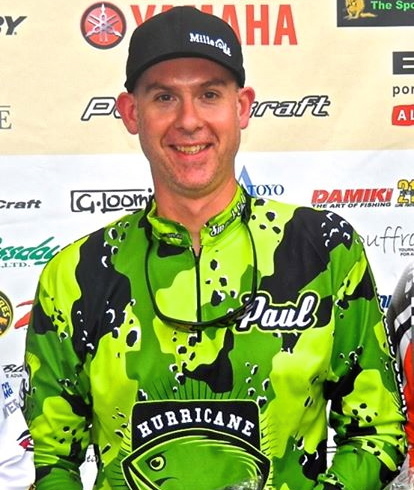 I enjoy fishing socially and the tournament scene brings out my competitive side. 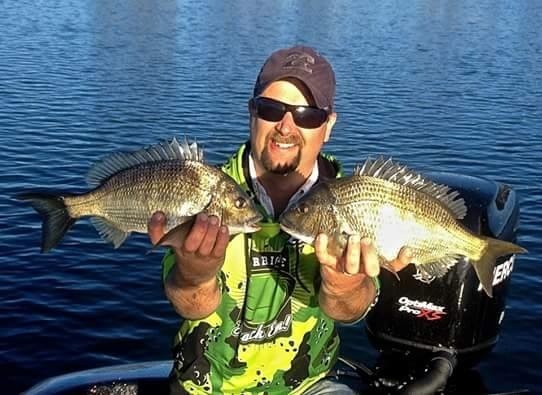 Now in WA it’s now all about the bream! I enjoy fishing Perth metro waters for the challenge and south coast trips for the scenary and great fishing. In Qld I enjoy fishing impoundmants for big barra and sweet water in South East Qld chasing bass. Kayak fishing for bream in Albany. It was a cold, wet and windy day but the fish were biting and I ended up with three forties from the kayak, a day I’ll never forget! A close second was competing in the Hobie Kayak GF in Marlo Vic in 2013. Duffrods and Daiwa Certate reels. I love a variety of fishing although have a paticular passion for Bream Luring. My passion for fishing dates back to a very young age sitting on a pier in Jervis Bay fishing for Whiting and Leather Jacket with my Pop. I love the buzz you get fooling a Big wise Black Bream on a lure. I have been fishing for Bream on Lures since before the early soft plastic craze and never looked back. Thats a hard one as we are blessed in Gippsland although the place that brings me the most peace and enjoyment would have to be Lake Tyers. Magical place and when it fishes well its a very hard place to beat. Hard to choose just one. My first Barra caught in 2005 when living in Darwin for two years stands out in my memory and competing in my fiirst Tournament Vic Bream Classics in 2012 finishing 6th out of a large field of Anglers and weighing in Big Bream of 1.88kg. Backing this up the following year on my home turf with another top 10 finish was also a buzz. My PB Bream still stands at 46 fork length and just over 2kg. Caught on Raymond Island in 2011. I use a variety of rods, Phenix M1, Phenix elixir, T Curves and Lox Yoshi's matched with Shimano Ci4, Shimano Symetre and Diawa Reels. I enjoy all types of fishing from chasing bass in skinny water creeks in a kayak to trolling big live baits for offshore Pelagic's! But chasing bream is what I enjoy the most socially and in tournament's!! There are a lot of great water ways around the Hunter and Port Stephens area that at times can produce some sensational fishing!! To narrow it to one water way my favourite would be Port Stephens/Nelsons Bay because of the variety it has to offer from sandy weed flats, deep extensive rock walls, multiple estuarys and the ever challenging oyster racks. Straight up it would have to be catching and releasing!! My first Blue Marlin on our yearly trip up to South West Rocks! Even better i was able to share it all with my Dad and some close friends aboard my own boat. There is no fishing I don’t enjoy, If I have a fishing rod in my hand im having fun! Most of my fishing is in Estuaries as I only have a small boat. 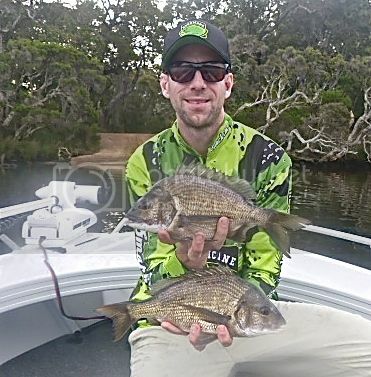 Love fishing bream comps as they can always be a challenge to catch and you learn something new about them everytime you target them. But I also enjoy going out with my brother Guy Jamieson chasing marlin, sharks and those bigger predetors I don’t often get to target. St Georges basin is definitely my number one favourite spot. I’ve been fishing in there ever since I got my boat licence at 12 years old. Great variety of species, have had some great sessions in there numerous times. Although I’ve only fished Foster a couple of times after last years Gamakatsu Gand Final my comp partner Troy Parsons and I had a cracking 3 days fishing up there boating numerous fish each day. We were lucky enough to snag 3rd place which was awesome. Well this is a tough one, I’ll have to say one of the best because there are to many to say best. My first ever big flathead would have to be up there, 90cm it measured, when I was only 12. Caught in sussex inlet in the canals. After chasing this thing around for 30 mins with the electric we finally got it in the boat. At 12 years old I was stoked!! Was deffinately not expecting getting one that big in the inlet. Being hooked on lures and light line ever since! Another would be not long ago when I went out with my brother and dad on a marlin trip. We were fortunate enough to tag a black marlin each for the day! With my one around the 100kg mark it was deffinately a PB of all fish for me! Shimano Rarenium reels, Lox Rods,and Shimano T Curve flight series rods.